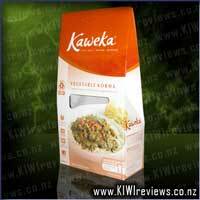 Brand : The Kaweka Food Co.
Kaweka's Vegetable Korma contains cauliflower, kumara, carrots, baby beans, capsicum, brown lentils and authentic spices, gently cooked in a medium-heat Indian korma curry sauce, flavoured with lime juice and cream. 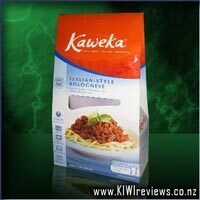 Firstly, congratulations to Kaweka for producing a vegetarian meal with some taste - despite what the rest of the carnivores on here think; it is always welcome to see '100% vegetarian' on the label and know that it really is vegetarian. I guess this is the difference of producing a meal for a vegetarian. Personally, I would love to see the vegetarian society tick which is more visual that the '100% vegetarian' or perhaps the Indian 'Green dot' logo used for vegetarian meals - it might just help to increase sales to the vegetarian market. 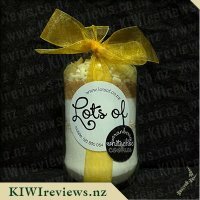 As a naturopath (and a vegetarian) it was also gratifying to see that a number of their products are listed as being 'Gluten free' - which will appeal to the many people on restricted diets too. This labelling could be a little clearer, and maybe visual for immediate impact too. Ok, so the meal itself - I love a good curry; and whilst my preference is for "English Hot" (which is on the scale of: mild, medium, hot, Indian hot, then for a real afterburn, English Hot) I can and do appreciate some of the more mild curries. This Korma had good flavour and plenty of pleasing aroma. The lentils and vegetables were cooked to perfection. The sauce was creamy and plentiful - if anything too plentiful. Allowing for this dish to be served with rice (and I had mine without) I felt it was one good portion rather than two. 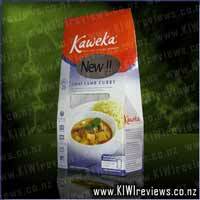 Allowing for that minor comment, on balance this is a good vegetarian meal that will appeal to the many vegetarians in the country (both religious and moral) and I feel Kaweka has begun to redress the balance away from the corpse-laden foods and actually produce good foods for vegetarians - and this Korma is one I have no hesitation in recommending. So with some diced chicken cooked up, I nuked the bag for 2 minutes then added it to the chicken in the fry pan to mix through and flavour the chicken. Now normally we are the kind of cooks that make a curry a few hours early and let the flavour seep into the meat... this wasn't able to happen with this meal, but that wasn't too much of an issue to be honest. 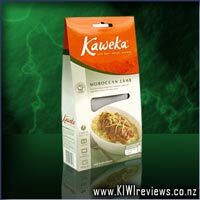 The kumera was lovely when I got some in a mouthful, creating a lovely rich taste. Now i'm a fan of spicy food, especially curries and the like so it was with eager anticipation that I put the bag in the microwave and nuked for the maximum time suggested. When I took the bag out of the microwave I was assaulted with a delectable aroma coming from the bag and I couldn't wait to see if the taste lived up to the promises being made by the smell. Well my olfactory system wasn't deceiving me and the taste was delightful. It had the right balance of spices that didn't overwhelm the overall taste of the meal. The ratio of ingredients to sauce was also perfect. 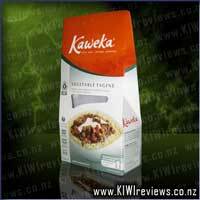 So once again hats off to the team at Kaweka for another brilliant meal. 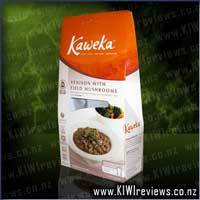 Being the carnivores that we are, we decided to try something a little different with this Kaweka Vegetable Korma. 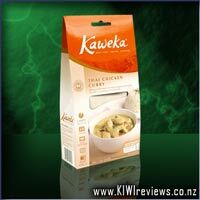 We sauteed some diced chicken breast, and once this was cooked added the Vegetable Korma to the chicken and heated. 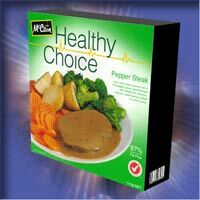 We served this up with plain boiled rice for an extra-easy dinner. Things looked and smelled great. There was loads of vegetables and lentils and the korma was an appetising colour. Taste did not let us down either, we absolutely loved the flavour of this meal. You could really taste all the different flavour components - the lime juice, the spices etc. It was just like homemade (the bonus is it's better than my cooking!) and that is what I love about the Kaweka range. This was just the right amount for two of us. 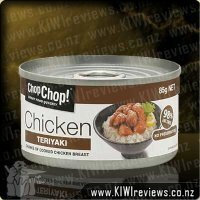 Without the chicken added, I don't think it would easily stretch to two people. 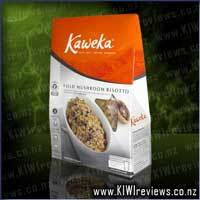 Another favourite to add to my list from Kaweka! For many years I abused my tastebuds with spicy, rich food... and I paid the price in the form of ulcers and a reduction in my sense of taste. There is nothing worse than going through life only being able to taste food no-one else can eat, and unable to appreciate the delicate, subtle flavours everyone else takes in their stride. So, after many years of avoiding spicy stuff, I can finally return to the common fray, enjoying the quieter, but more full, flavours of 'normal' dishes. So it was with some trepidation that I heated up this offering from the gourmands at Kaweka, not for any fear of eating bad food, far from it... but simply because I didn't want to risk days of intestinal pain and acid reflux after a delicious, but spicy, meal. 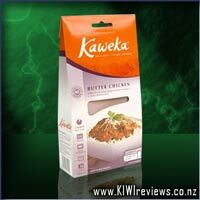 I need not have worried... as usual, the fine chefs at Kaweka have found that perfect balance between enough spice to give a full flavour, and too much that would ruin the dish. Overall, most excellent, though not at the top of my 'Most Favoured' list, since I am still shying away from spicy foods to a high degree, just in case. 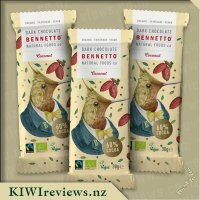 But when I have guests around who do like the -zing- without the afterburn, then I plan to have a couple of packets of this waiting for them. With servings for 1-2 in each bag, it means that meals can be tailored to the tastes of the guests, no matter what range they prefer. 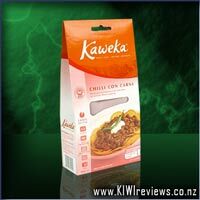 Another excellent addition to the range, Kaweka! Well done! This south Indian classic is my loving mum-in-laws' secret recipe from the Deep South. It is full of flavour from the coast with coconut, chili, coriander and tamarind. Again a very versatile curry sauce that can be used for chicken, beef, lamb, seafood or even vegetables.